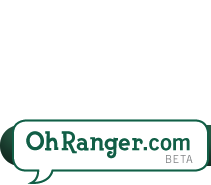 Highway 101--Pacific Coast Scenic Byway- Oregon Section | Oh, Ranger! Take a trip along the rugged Pacific coastline on Oregon's Pacific Coast Highway, moving past endless beaches and temperate rain forests. With landscapes dominated by waterfalls cascading over rugged cliffs at Munson Creek and farms and sandy beaches of the Oregon coast, it's clear to see how this area became one of the most photographed in Oregon. The salt-scented, coastal air follows you as you hike among sun-dappled pathways among spiny trees, exploring the best of both worlds in the Siuslaw National Forest near the ocean. 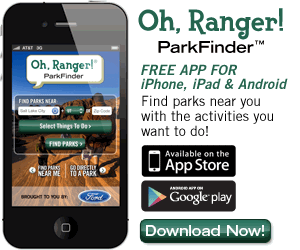 Listen to the crashing surf as you investigate tide pools or watch for whales. Nearby is the Heceta Head Lighthouse, a fully functional lighthouse built in 1894 and the brightest point on the Oregon coast. Explore an isolated wilderness in the Rogue River-Siskiyou National Forest amid the backdrop of mountains, meadows, streams, and lakes. Pounding surf, endless beaches, mature forests and fish-filled lakes provide a multitude of recreational activities for any visitor of the byway. Offering everything from hiking among the spray of ocean water to taking pictures of sea lions and whales in their natural habitat, the Pacific Coast Scenic Byway preserves the natural beauty of the coast for all to enjoy. The GPS coordinates point to the beginning of the highway in Brookings at the California border. The Pacific Coast Highway is home to a number of scenic and historic towns. Astoria boasts historic charm and examples of Victorian architecture. Stop in at the Flavel House and imagine life for the occupants over a century ago. A visit at Christmastime provides you with the chance to enjoy an old fashioned tea with traditional plum pudding. Tillamook has some of the best cheese in the country. Try a sample of it as you pass through the town. Seaside's famous promenade has been visited by tourists for decades. Rest your feet as you stare out at the churning eddies of water. The Lewis and Clark Memorial statue marks the end of the trail. Here you'll learn about the history of their expedition and wander around the reconstructed Fort Clatsop. Camping is available in the Siuslaw National Forest. 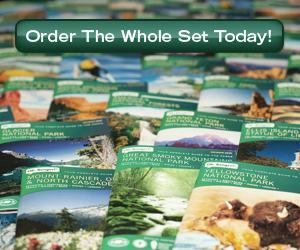 Visit www.reserveUSA.com to make reservations at nearby National Forest campgrounds. Walk on the same pathways of the explorers and settlers who forged the area along the Lewis and Clark National Historic Trail and the Oregon Trail. Signs of both pathways are still apparent today, both as historical sites and permanent ruts carved into the ground. Beginning in Brookings at the California border, the Oregon section of the Pacific Coast Scenic Byway heads north on Highway 1. Follow the highway to the end of the Oregon section of the byway in Astoria.